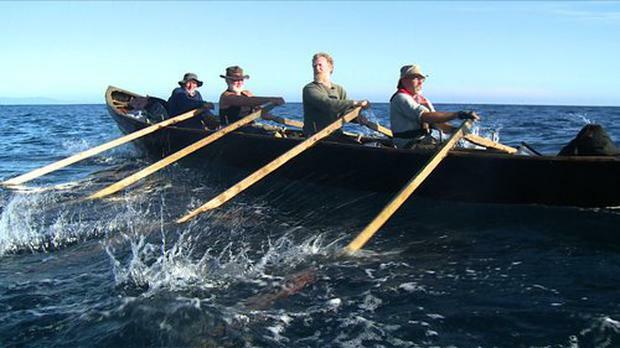 There’s a melancholy tinge to Donal O’Ceilleachair’s seafaring documentary, which follows four hardy artists and musicians as they row a Naomhog all the way from Dublin to Galicia in Spain. Danny Sheehy, Breandan Moriarty, Brendan Begley and Liam Holden all cheerfully question their own sanity as they begin the 2,500km journey in a traditional boat constructed by themselves, but tragedy struck when Danny Sheehy continued south, and died when the boat overturned. Glen Hansard took his place for the final leg. “They came in this from Ireland?” a Galician asks when they finally arrive. “Mother of God!” Indeed.